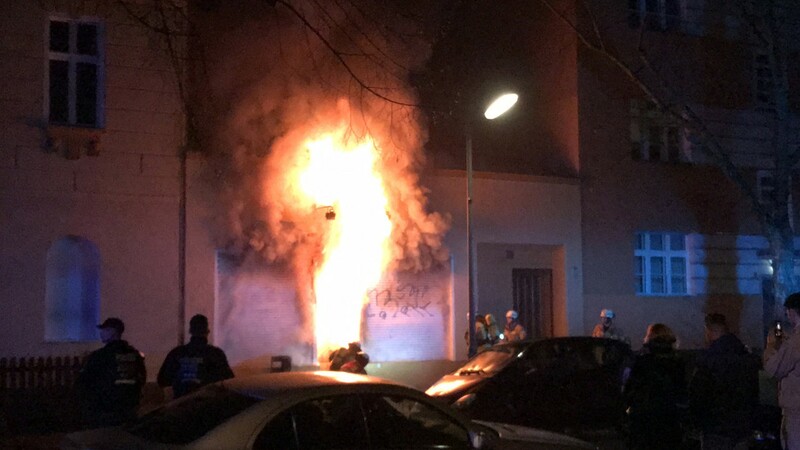 In Berlin there was an action with Molotov cocktails against a DİTİB (Turkish-Islamic Union for Religious Affairs) propaganda center. DİTİB is directly controlled by the fascist Turkish State and receives its instructions from them. When the international attack against Afrin began, most DİTİB mosques in Europe prayed for the victory of the Turkish occupying army. The aims of the DİTİB propaganda centers are to discredit the values of democratic Islam and instead convey a vision of humanity in the spirit of the AKP-MHP regime that aspires to a patriarchal, fascist society. Only a few months ago, the DİTİB supervisory authority in Ankara had announced that young girls were suitable for marriage at 9 years of age.